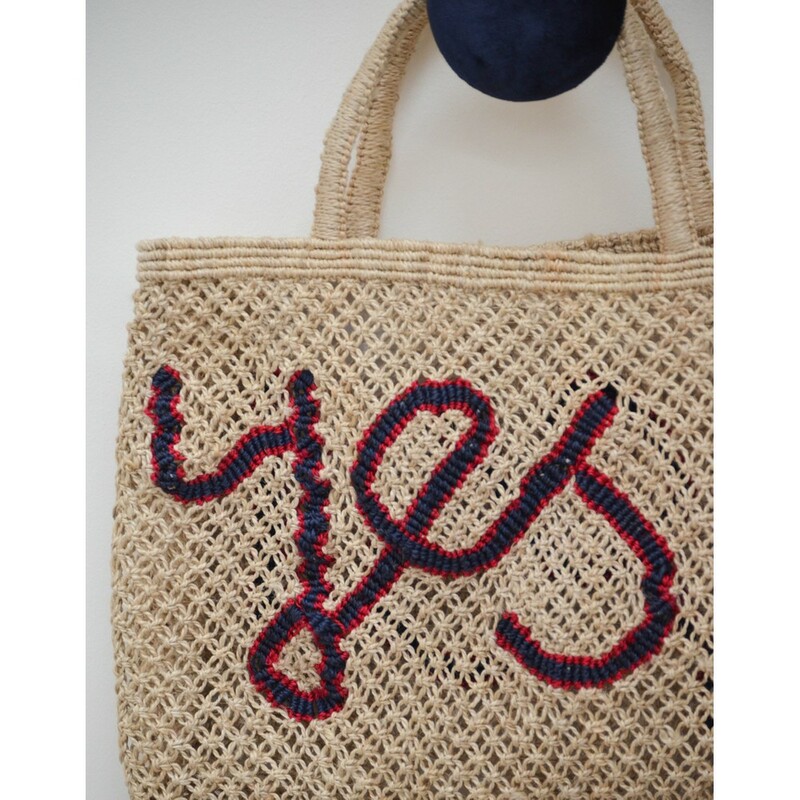 The Jackson Yes small jute bag with red and blue writing. 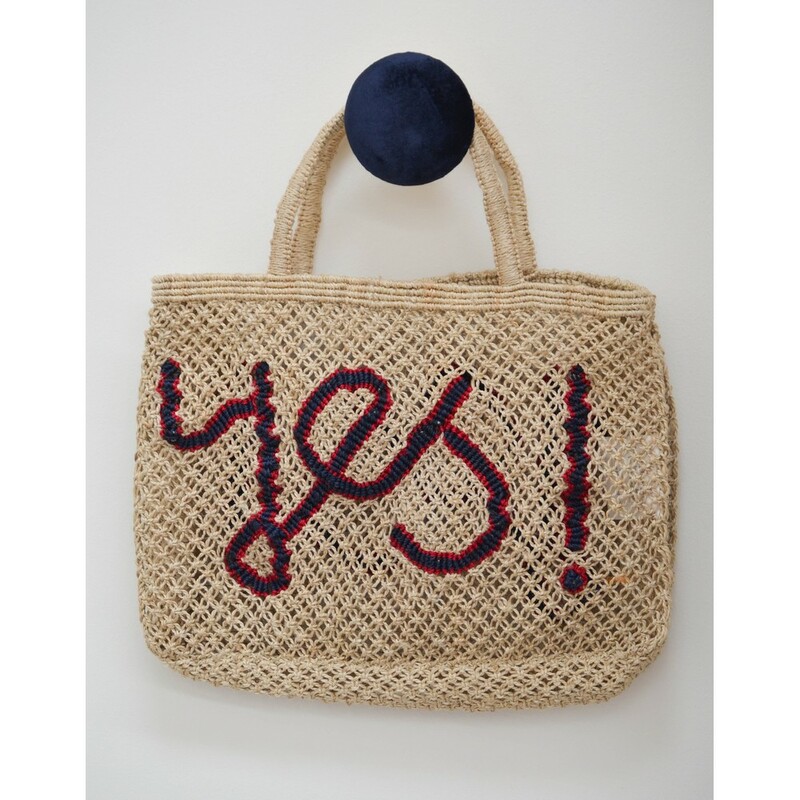 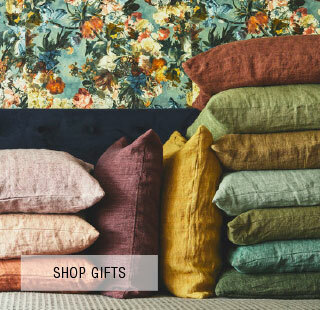 Made from 100% jute by skilful traditional handicraft workers from Southwest Bangladesh. 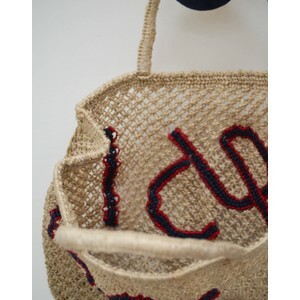 Perfect as a beach bag they are lightweight and durable.